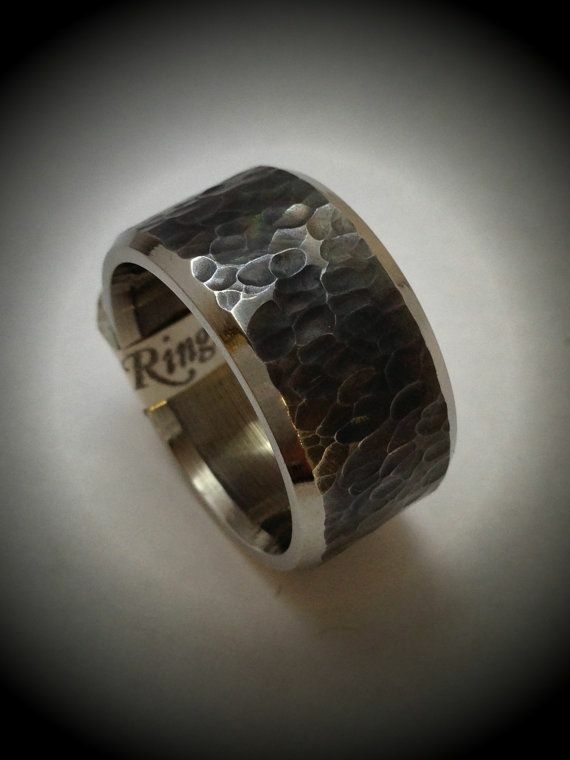 Hammered finish in blackened titanium in this thick design titanium wedding band. The band consists of tapered ends and this specific one was made for a 10mm width. We can modify the width for any size and can add gemstones and/or diamonds.